There are a few things that people don’t clean often enough in their houses: appliances, the tops of cabinets, the kitchen sink, and their pillows. Sure, they might wash and change their sheets regularly, but not a lot of people think to wash the pillows themselves. It’s important to clean your pillow on a regular basis because a pillowcase can only do so much. 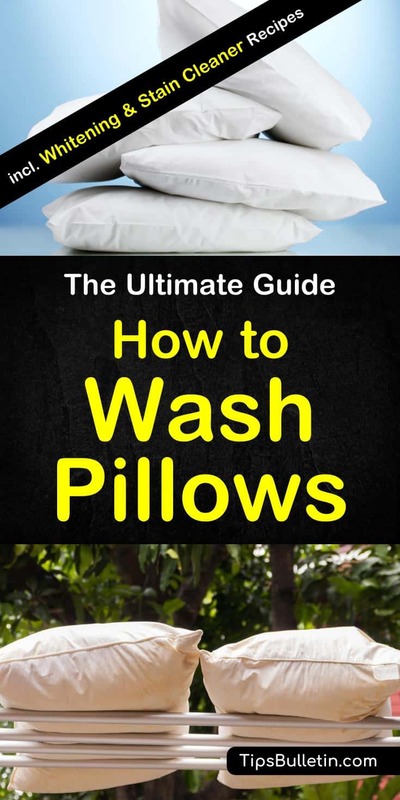 But how to wash pillows? Sweat, oil, or drool, whatever gets on your pillowcase can soak through to your pillow. You might find that your once-white pillow has now yellowed. Your pillow can become heavier with all of the dirt and bacteria it can collect. Dust mites can also live in your pillows and leave droppings. No one wants that under their heads. A dirty pillow can also contribute to allergy suffering. Here are some tips to clean your pillows. Can You Wash Pillows in the Washing Machine? There are many ways you can wash your pillows. The important thing to remember is to read the tag before choosing any of these methods. You can only clean certain types of pillows certain ways, and if you wash them incorrectly, you risk destroying them. Check the tag and consult the following to make sure you’re cleaning your pillows safely and efficiently. While drying, consider putting them in the dryer with several clean tennis shoes or tennis balls, which will aid the fluffing process. Feather and down pillows are the most popular types of pillows. Wash down pillows just like you wash a down comforter or duvet in the washing machine, as described below. You will, however, want to check to make sure that there are no holes in the cover, as if you attempt to wash a feather pillow with holes in it, you risk letting all the feathers fall out. Avoid putting memory foam pillows in the washing machine or dryer. Instead, wash them by hand and let them air-dry. Wash polyester pillows the same way you wash feather pillows: stick them in the washing machine and then transfer them to the dryer, using a couple of old tennis shoes or tennis balls to keep them fluffed. The way you wash throw pillows depends on the material. Wash the cover separately from the cover. If the cover is a fragile material, like silk or wool, then you’ll need to send them to the dry cleaners. The same goes for throw pillows stuffed with feathers or down — unlike regular pillows, throw pillows stuffed with feathers or down can’t go in the washing machine. Throw pillows with covers made of cotton or other hardy materials, however, can probably go into the washing machine. As always, consult the tag to see the specific washing requirements. Washing couch pillows are like washing throw pillows: wash the covers separately. Remove the cover and check the tag to see how to wash it. Some materials can go in the washing machine, while others need dry-cleaning. As a general rule, you’ll be able to tell what can go in the washing machine and what can’t, by looking at the material used in the cover’s construction. Treat stains with a stain-removal spray, turn the cover inside-out, and put it in the washing machine. Use the delicate cycle. Keep an eye on the machine and remove the pillow as soon as the cycle finishes, as the longer it sits damp, the muskier it will smell. Dry them on a clothesline if possible; otherwise, use the low- or no-heat setting on your dryer. Before you set about washing your pillows and pillowcases, you might notice some stains on the fabric. In this situation, you can either use an over-the-counter stain removal chemical, or you can make your own using household materials. Mix hydrogen peroxide and dishwashing soap in a spray bottle, shake well and apply to the stain. Allow to sit for about ten minutes and then start washing. Can you wash pillows in the washing machine? Check the tag on your pillow to find out the material and the preferred method of cleaning. A front loading washer or a top loader without an agitator is best for washing your pillows. For any washer it is best to wash two pillows at a time, if they can fit, to balance the machine and keep them from moving around too much. Put them in vertically if your top loader has an agitator, so they don’t wrap around it. Squish your pillows down as much as possible to remove air. Wash your pillows in hot water on a gentle but full cycle. Hot water kills all dust mites. With a top loading machine, give it a minute to let the detergent dissolve in the water before adding pillows. 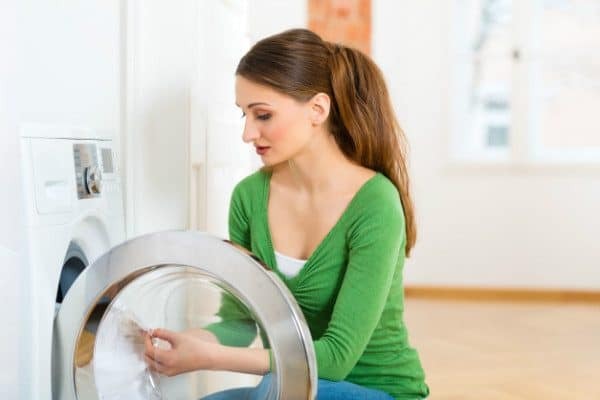 It’s best to run them through an extra rinse cycle to be sure all detergent is gone, and an extra spin cycle to remove as much water as possible before drying. If you cannot wash your pillow in a washing machine, you can clean it by filling a large tub or sink with warm soapy water and agitate it by hand a bit. Let it soak for half an hour and then rinse. Squeeze out as much water as you can by wrapping it in a towel. Do not twist to ring out. Foam pillows need a gentler wash than a machine, and they also hold onto water well, so fully submerging them in water is a bad idea. The heat and agitation of a washer can also cause the now-wet foam to fall apart. Then, if they survived the washer, once wet they take forever to dry, encouraging mold growth. Remove any covers, including any zippered cases, before washing. These can usually go in the washing machine, but you’ll want to follow the directions on the tag. On average, the tags on foam pillows suggest spot-cleaning. Take a clean, damp rag with a little bit of detergent and wipe away any dirty spots. Follow with another damp cloth to rinse. If your pillow smells, sprinkle some baking soda on it as it dries. You can also vacuum the foam pillow with an upholstery attachment to remove dust. Feel free to put your pillow in the dryer if the tag says it’s okay to do so. 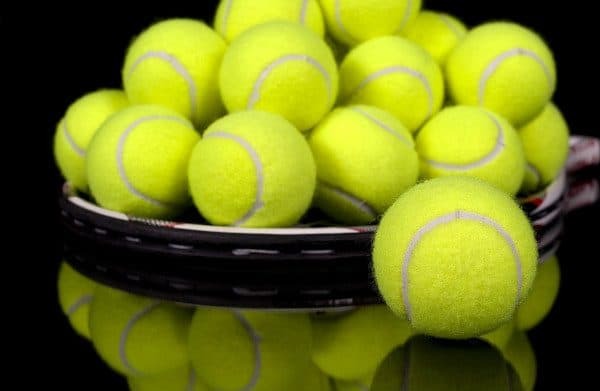 Use low heat, and add a couple of tennis balls wrapped in socks, or a dryer ball. These tumble around in the dryer with the pillows and fluff them up. Once the dryer cycle finishes, check for dampness, and run them through again if they are not completely dry. The pillow’s tag might not allow for tumble drying, or you might not have a dryer. Place the pillow in a warm place, preferably in the sun, and let dry. The sunlight will also deodorize the pillow. You can also hang your pillows on a clothesline. Do not place a foam pillow in the dryer, as the foam can’t handle heat and could catch fire. If not, it might just disintegrate if dried. Cleaning should take care of the yellow problem on your pillow, but in case you haven’t cleaned your pillow in a long time, or it’s especially bad, there are ways to whiten your pillow as you clean it. Alternatively, you can add half a cup of borax to a regular laundry cycle. You can use bleach for yellow stains, but with caution. It could destroy the inside of the pillow, and any pattern on the outside. Make sure you follow the instructions on the pillow tag. For pillows that are spot clean only, try something like a bleach pen to get rid of yellow spots. If you’ve had to deep clean your pillow because it’s a chore you’ve neglected, you probably want to know how to keep up with your pillow cleaning in the future. Your best bet is to wash your pillows about three times a year. One way you might remember to do it is to wash them every time the season changes. A zippered pillow cover underneath your pillowcase will prevent most stains. You can usually wash them regularly in the laundry. Replace your pillows as needed. Fold your pillow in half to know if it’s time to replace it. If it unfolds itself, it’s good for a while. If the pillow stays folded, it’s time to replace it. Try this out each time you go to wash it, as you may save yourself time and effort by purchasing new pillows instead of washing the current ones. Don’t just clean your bed pillows. Pillows covered in shams and decorative pillows need maintenance too. Even if you don’t sleep on them, they can still attract dust mites and their droppings. If the pillow has a sham, remove it and clean it according to the tag’s instructions. Wash the pillow as advised above, depending on the materials. If the pillow is decorative and does not have a removable cover, clean as directed on its tag, or spot clean with a damp rag and some detergent. Test a small part of the pillow to make sure the soap or water doesn’t ruin the design. Washing your pillows is an important but often-overlooked aspect of overall health. On average, of the 24 hours in the day, you spend eight of them with your face on a pillow — meaning your pillow is a key player in 1/3 of your life. If you want your pillow to take care of you, it behooves you to take care of it. 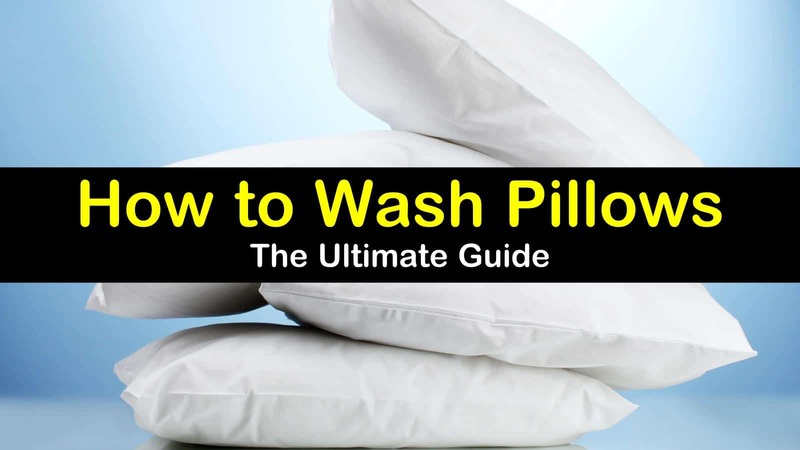 In this article, you learned how to wash pillows. You learned how to clean a variety of pillows, how to tell if you can wash them in a machine or not, how to dry them, and how to take care of them. Everyone sleeps, meaning you know someone who could benefit from this information, so use the buttons below to share on Facebook, Twitter, and Pinterest!